I would love to help you make your next event a total success! I can offer you an inspirational keynote, workshops, courses or webinars! We always customize the workshop or series directly to your group. See a list of potential speaking topics below. Inquire about my availability for your event, just call 503-673-3863 or email me at info@wildwomanfundraising.com and we’ll get you rockin’ and rollin’! I’m looking forward to helping your attendees get more donors, save money, and make more money this year! Fire Up Attendees with a Keynote! If you want a dynamic conference keynote that motivates your team, you should call me. 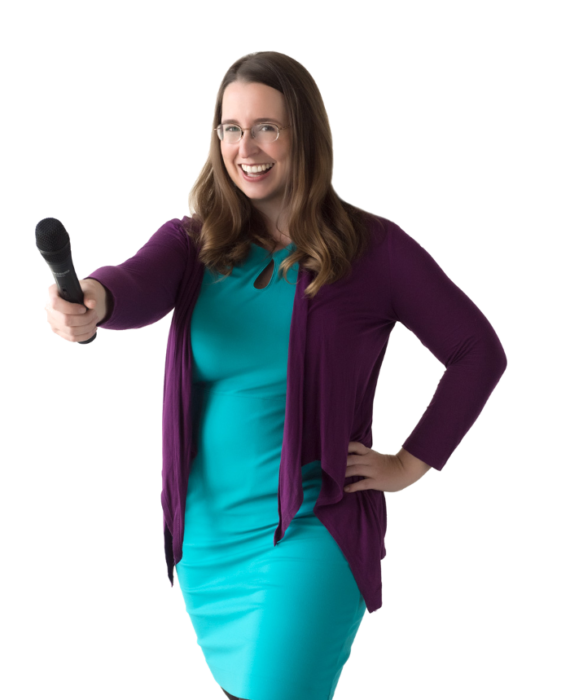 If you need a presenter for your association to teach members about marketing, leadership or fundraising, you should definitely call me. If you’re looking for a fun workshop session that is not “business as usual” at your event, give me a call. If you’ve got event fatigue with your attendees and need to fire them up again, I can help you. You’d be in good company! I’ve presented nationally and internationally to thousands of people since 2010. Excellent presentation on sponsorships, helpful, informative, and motivating! Tons of Money in the Mail gave me TONS of ideas for making our year-end direct mailing more effective. The opportunity for questions and answers was also extremely valuable! Thanks! I worked with Mazarine on my resume, cover letter, interview and negotiation skills over several months in 2017. Not only did we get my job history up to date, we also worked to discover what jobs would make me feel the most alive and satisfied. I’m so grateful for Mazarine’s help with that process. She is incredibly easy to work with and digs deep to help you uncover your purpose and path professionally and personally. If you are ready to explore your true north and follow through, Mazarine is the person to work with.